West Ham United are closing in on a deal to sign free agent Joey Barton, and are expected to complete a deal to sign the midfielder in the next 48 hours. BBC Sport report that the Hammers are confident of sealing a move for the 32-year-old, who is available on a free transfer. The one-time England international—who previously featured for Manchester City and Newcastle United—was relegated with Queens Park Rangers last term, before being released by the Hoops at the end of a miserable campaign. There has been no shortage of interest in the tenacious midfield general, who appears to have been waiting for the right move before committing himself to a new club. 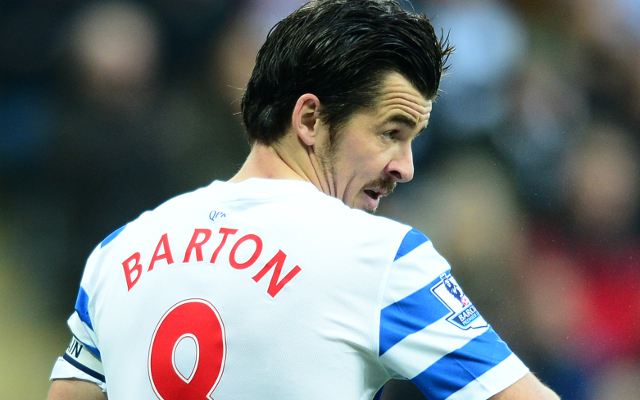 Barton had been linked with a move to Aston Villa [Birminham Mail], although it appears that the Villains are set to be pipped to the signing of the Scouse veteran. The former QPR captain is one of football’s most colourful characters, and as well as having cultivated something of an on-field reputation as one of the Premier League’s hardmen [BBC], he is also known for his social commentaries on Twitter and his television appearances. Barton will likely provide competition with the likes of Mark Noble and Cheikhou Kouyate in the heart of the Hammers midfield, and looks set to join a club sitting fourth in the Premier League table, having seen off Arsenal at the Emirates Stadium on Sunday. The former Marseille midfielder will bring fierce tackling, cultured passing and leadership skills to the heart of the park.